Centre LifeLink EMS is now offering a Student Membership program to university students! 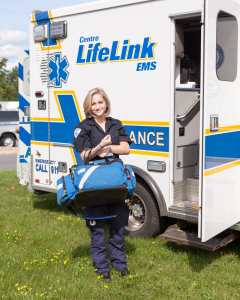 For $55 per student, per school year (August 1-July 31), students will have no out-of-pocket expense for emergency ambulance service provided by Centre LifeLink EMS. This student membership covers unlimited local EMERGENCY ambulance service provided by Centre LifeLink EMS when we are the 911 dispatched service. Any available insurance is billed if you use the service. Whatever your insurance pays us will be payment in full for emergency ambulance service covered under your student membership. Most insurance companies do not cover the full cost of ambulance service; students (and their parents) are often left with copays and deductibles. The student membership does not cover non-emergency transportation, or ambulance service provided by Penn State EMS, the on-campus ambulance service.